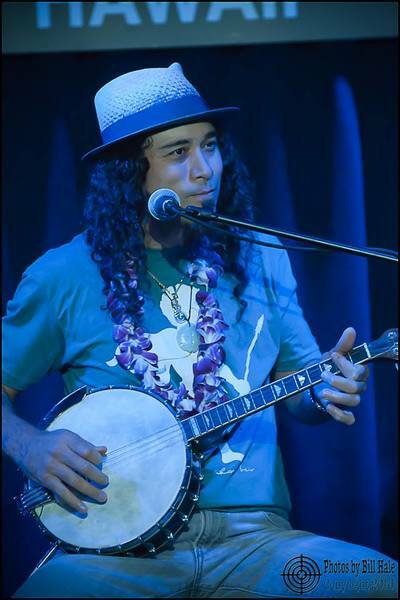 Tavana is a multi-instrumentalist from Honolulu, HI who uses electronic drum triggers to lay down a variety of grooves with his feet while simultaneously playing guitar, banjo, lap steel, or ukulele and singing soulful, island-inspired Rock and Blues. 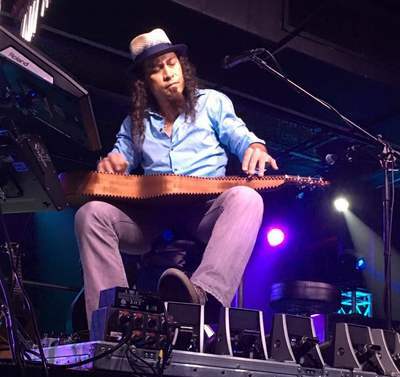 "My rig has grown over the years, and I now use six electronic drum pedals to achieve my desired sound. I perform everything live and use no looping. Everything is played moment to moment...It's hard to explain how fun it is to do this. Its like having a whole band in your body and mind. And they can stop and go together on a dime!!! They can slow down, speed up or whatever in perfect unity! Every sound comes with its own identity, colors,and emotions creating a much larger pallet from which to express myself. Additionally, it gives my mind very little time to stray away from the music resulting in a truly meditative state." The result of this exploration and improvisation became his 3rd Album - 'Kicking and Screaming' featuring hard-driving hits such as 'Mystery', 'Wise Up', and 'County Line' while also offering softer, more melodic tunes such as 'Baby Blue' which he wrote while trying to lull his newborn baby - Mavrik - to sleep one afternoon. 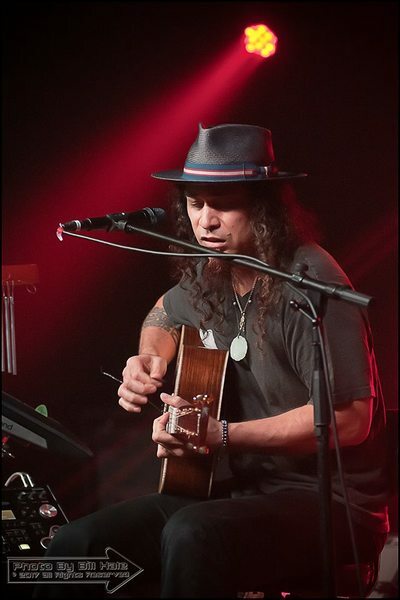 Tavana has been the supporting act for Alabama Shakes, Shakey Graves, Xavier Rudd, Jenny Lewis, Julian Marley, and Kaleo to name just a few, and In 2009, Eddie Vedder invited Tavana to sing 'Hawaii 78' - a Hawaii anthem of sorts - with him at the Hawaii Theatre. "He's more the exception than the rule, he is a great human and I'm glad to know him" said Vedder while introducing Tavana to the audience. From a recording of their performance together, Vedder produced a limited vinyl record that was sent out to 10,000 Pearl Jam fans. After taking a few years off from touring to be back on Oahu with his family, Tavana spent a great deal of 2018 on the road touring on the US Mainland, in Japan, and in Canada and was honored to perform with such legendary musicians as Henry Kapono, John Cruz, Willie K, The Doobie Brothers, Lily Meola, and Leon Mobley. In 2019, Tavana has his sights set on releasing another album that will showcase his ever-evolving, one-of-a-kind signature island-inspired rock-and-blues sound, while continuing to tour regularly both on the US Mainland and abroad.